Gardeners aren't the only ones who appreciate the moderating fall temperatures. Our weather certainly takes a toll on summer color, but the promise of cooling fall temperatures can inspire many flowering summer annuals to enjoy a second wind. This time of year, two of my favorite zinnias are still holding out and waiting for moderating weather to show off. These selections are Profusion and Zahara. Profusion zinnias are always a great choice for annual summer color. 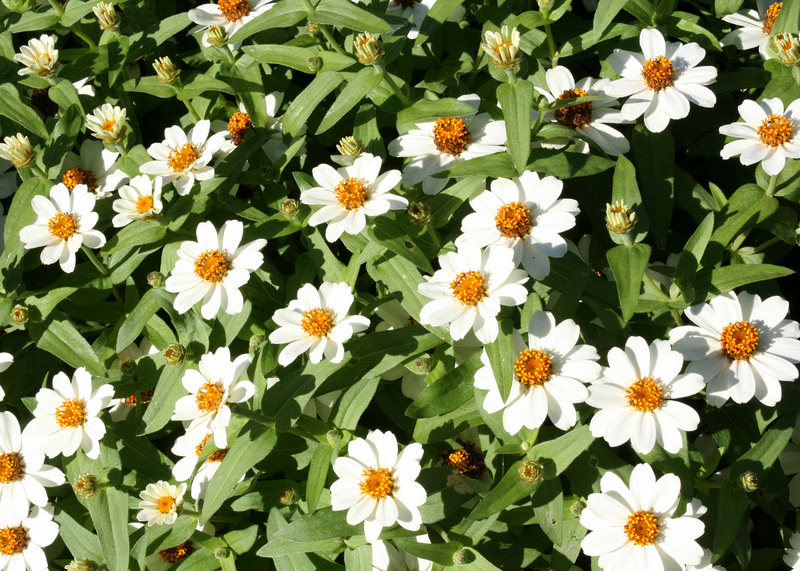 These plants perform well in both cool and warm weather and have better tolerance to powdery mildew that can plague the older Zinnia elegans. Profusion zinnias have been blooming since spring and will continue into fall. That’s good news for our Mississippi landscapes. Profusion zinnias are available in many colors and typically grow up to 12 inches tall and wide. The plants are compact, with good, strong branching to support the numerous flowers that completely cover the plants. And the best part is that Profusion zinnias don’t have to be deadheaded. Each flower is about 1.5 inch in diameter. Both single- and double-flower forms are available. For the best flowering performance, always place where they will get at least 6 hours in the full sun. Zahara zinnias are my other favorite. I love how these flowers resemble dahlia blooms. 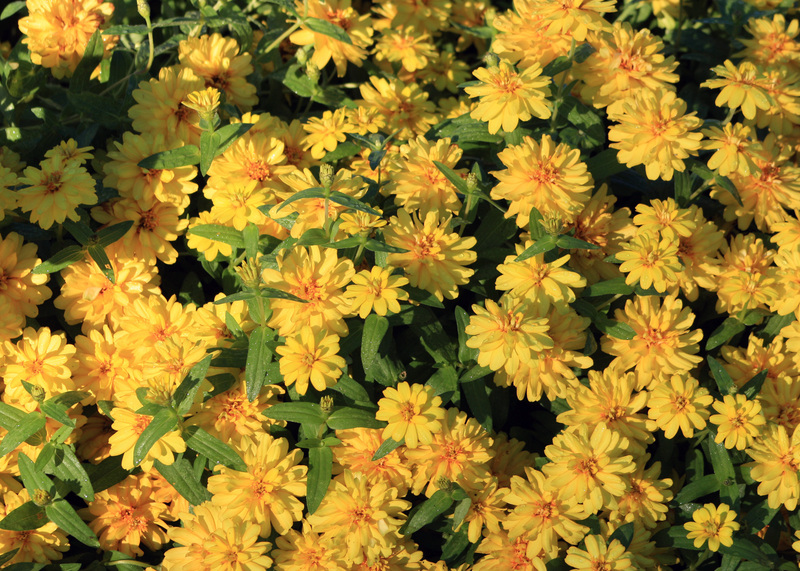 Zahara zinnias produce robust mounds of colorful flowers and have an excellent branching system to support them. Plus, these plants, like their cousin Profusion, have a natural resistance to powdery mildew. Amending your landscape beds with 3 to 4 inches of good-quality compost at spring planting will help ensure adequate fertility in the fall. Planting Zahara zinnias in raised beds increases soil drainage and promotes superior plant growth and flowering in the cool fall season. Even though Profusion and Zahara zinnias tolerate droughty conditions, apply supplemental irrigation during periods of extreme drought. 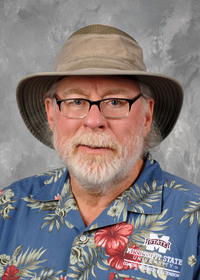 With the onset of cooler temperatures, water needs will be greatly reduced. Moving into fall, maintain a 2- to 3-inch layer of mulch to help keep the soil warmer. This will encourage the plants to keep producing their beautiful flowers later in the fall season. 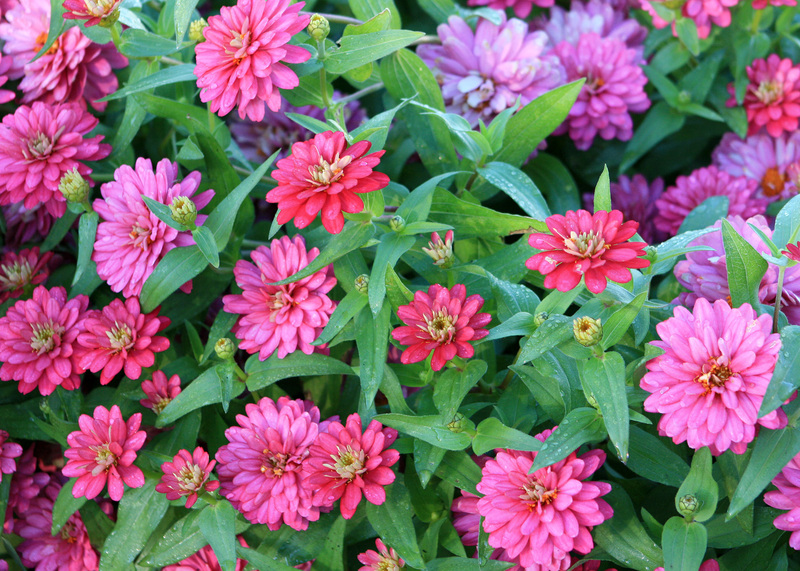 As we move into fall, don’t neglect the feeding needs of your Profusion and Zahara zinnias. 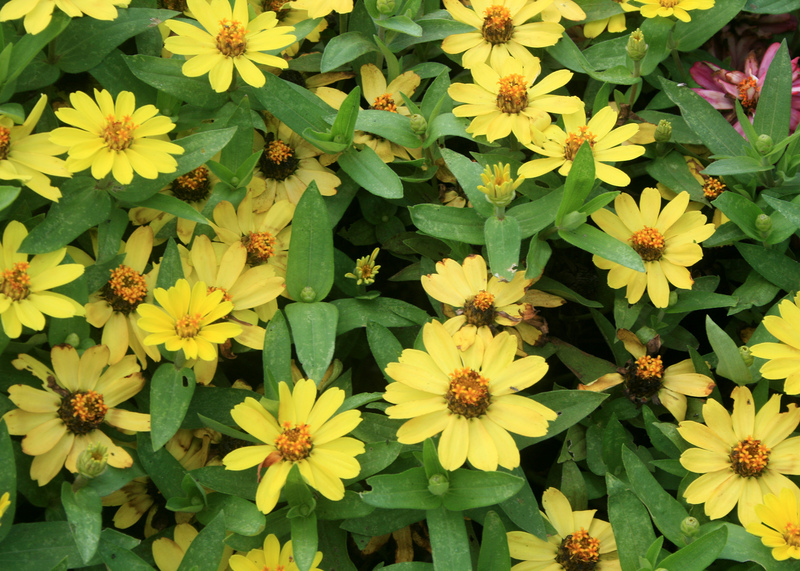 Water-soluble fertilizer is an easy way to keep the plants fed this fall. Go ahead and get ready now to enjoy the fall resurgence of your Profusion and Zahara zinnias. They won’t let you down.